One of the major obstacles to Black economic development is a skewed mentality when it comes to starting businesses. African Americans have the lowest rate of business ownership, compared to Whites, Latinos and Asians. This Black psyche discourages concepts and campaigns toward business and its development. Blacks need leadership, broader enlightenment and participation in business and its ethos. To become viable in American society and commerce, Black Americans need to band together in sustained, concerted efforts that promote our standard of living and economic health. Black Americans must participate to the utmost in generating quantitative and qualitative actions toward an expanded economy. African Americans spend $40 billion each year in the travel and tourism industries. But few of those dollars turn over in the Black community. Toward that end, the U.S. Black Chambers Inc., (USBC) is forming a coalition and campaign in the hospitality industry to support Black-owned businesses and hotels. With the billions of dollars being spent each year in the national tourism and hospitality industries, the USBC, along with other leading Black organizations are leading by example. The USBC and company are engaged in a movement that encourages Black consumer support of the nation’s Black-owned vendors and hotels. Giving legs to a national effort in which Black consumers help increase Blacks’ commerce, the USBC is joined by the National Bankers Association, the Urban League, and the NAACP to prioritize issues and activities that nurture and develop Black businesses. In 2012, the United States’ travel and tourism industry generated nearly $1.5 trillion in economic output. This business activity supported 7.8 million U.S. jobs. One out of every 17 Americans work, either directly or indirectly, in the travel or a tourism-related industry. Over the past decade, the U.S. lodging industry added a net of 6,249 properties and 664,683 rooms. Indian Americans’ “collective capitalism” activity in this sector is a model for African Americans. Indian Americans own almost half (40 percent) of the motels in the United States. Hotel ownership is an area of investment that African Americans are starting to become involved. Currently, there are 523 hotels owned and operated by African Americans. Black Entertainment Television founder Robert Johnson owns 120 properties while Michael and Steve Roberts have 12. Don Peebles, the first African American to own a luxury hotel with the Royal Palm, also has a Courtyard Marriott in Washington, D.C. The USBC unveiled its plans for the hospitality industry at the recently opened $520 million Washington Marriott Marquis. The Washington Marriott Marquis is the Marriott Company’s 4,000th hotel and the nation’s capital’s largest. 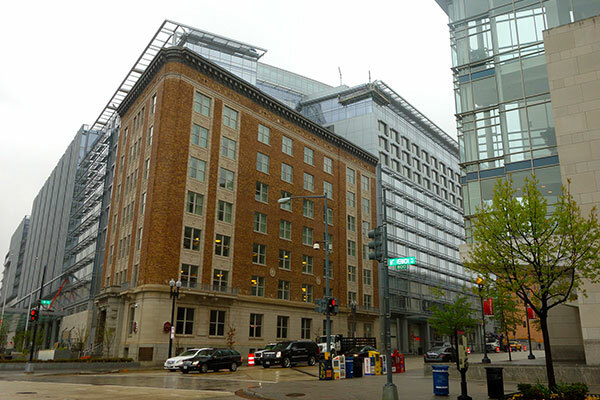 The Washington Marriott Marquis is considered a “convention center headquarters hotel” designed both to provide housing for those attending conventions at the Walter E. Washington Convention Center, located directly across the street and to augment it by providing smaller meeting room spaces. The Washington Marriott Marquis is owned by Quadrangle Development, along with its partner Capstone Development, a private, Black-owned development firm. It’s operated by Marriott International, Inc. The hotel has 1,175 rooms – which include 49 suites – and stands 14 stories above ground, and has four levels underground. Norman Jenkins, founder of Capstone Development, is a former Marriott executive. Under his leadership, the Marriott brand gained at least 500 minority-owned or minority-franchised Marriotts under the company’s Diversity Ownership Initiative. 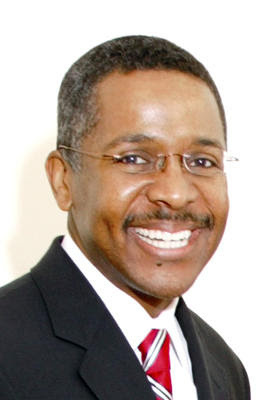 A former corporate executive, Jenkins represents the mindset Black Americans need to adopt. He has the ability and attitude to create business models and ventures and ultimately execute them through mechanisms that sustain generational wealth. Jenkins is a certified public accountant who holds a B.B.A. in accounting from Howard University and an M.B.A. from George Washington University. It’s mandatory that Blacks unite behind the USBC in “commitment and advocacy” toward Blacks’ economic growth. To further bolster its community impact and access, the USBC recently announced that former U.S. Small Business Administration Deputy Administrator, Marie Johns, has signed on as a strategist. The USBC is located at 1156 15th Street N.W., Suite 1100, Washington, D.C. 20005 – or visit www.usblackchambers.org. “WELL MY MOM SAYS,” by C.M. LEE, Jr.
Is this a duplication of efforts? Why not collaborate with an existing focused orgainization like (NABHOOD) Nat Assoc of Black Hotel Owners. Operators & Developers? Hey Buddy!, I found this information for you: "BUSINESS EXCHANGE: Blacks and Hospitality". Here is the website link: https://blackmeninamerica.com/business-exchange-blacks-and-hospitality/. Thank you.